Making sure that your children have access to learning materials is essential and with companies like Educational Insights you can buy products that are fun for your kids to use and help them to learn new skills. On the website you can browse through their toys and learning materials by age or by the brands that they carry in store. You can also take a look at their “School Stuff” page to find items that can help your children in school. To get a lower price on your order, make sure that you take a look at their “Sale” page. 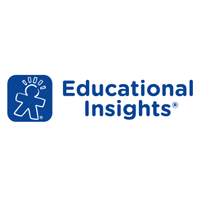 For most up to date offers check out Educational Insights on Facebook and Twitter or contact Educational Insights Support for any questions.